Daniel K Pai was born Daniel Kalimahae Pa’i in Kameula, Hawaii, on April 4, 1930. His grandfather, Pai Po-Fong, taught him the Pai Family martial arts system (Pai-Lung Ch’uan-Fa). It is said that Pai Po-Fong had sent Daniel to the “White Lotus Monastery” (Pai-Lien Ssu / Byaku Ren Ji) on the north coast of Okinawa. Daniel trained in White Lotus Kempo (Pai Lien P’ai /Bok Leen Pai) for five years under a senior monk named Okamura. At the end of World War II, Daniel began studying Judo/Ju-jutsu under H.S. Okazaki and Richard Takamoto. 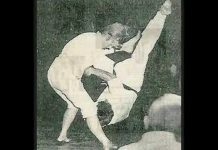 Daniel also studied Okinawan Kempo under Richard Takamoto, and he earned his 8th Dan in 1970. 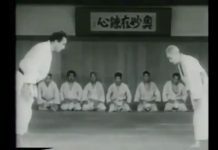 Daniel Pai was trained by or influenced by, Lum Tai-Yung (Fut-Gar), Shigeru Nakamura (Okinawan Kempo), Gogen Yamaguchi (Goju-Ryu), and Morhei Ueshiba (Aikido). 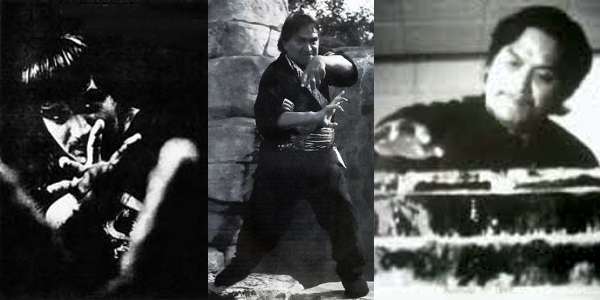 Daniel K. Pai was a driving force in the spreading of Chinese and Okinawan martial arts in North America from the late 1960’s until his death in 1993. 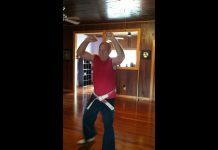 He taught Okinawan Kempo and Goju-Ryu in the 1950’s and 60’s and then his Kung-Fu method in the 1970’s, 80’s and 90’s. With the passing of one of his relatives some time around 1972, an uncle, who was either a blood relative or Kung-Fu relative, Dr. Pai inherited the rank and title of Grandmaster in his family’s Kung-Fu Method (Pai-Lung Ch’uan-Fa). In the early 1970’s, Dr. Pai formed the “Pai-Lum Association.” During these early days, he also served as chief instructor for both the USKA, Chinese Kempo Division, and the Canadian Fire Dragon Association while also serving on the board of directors for the East Coast Karate Federation. During this era there were over 2400 students in fifty plus “Pai-Lum” and “Fire Dragon” schools operating in North America. 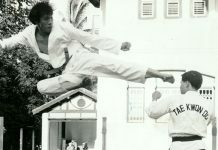 In the mid 1970’s the U.S. White Dragon Martial Arts Society was formed and produced a team that, on July 4, 1976, was awarded a Certificate of Merit for superb achievement during the Kuo-Shu demonstrations held in Taipei, Republic of China, by Tsai Hung-Wen, president of the Kuo-Shu Federation. Dr. Pai’s team participated in the 2nd World Kuo-Shu Tournament in 1978 inTaipei, ROC., leading to Dr. Pai’s being appointed “Delegate at Large” for the Chinese Kuo-Shu Worldwide Promotion Association (CKWPA). The 3rd World Kuo-Shu Tournament was organized by Daniel K. Pai and was held in 1980 in Hawaii, USA. In 1983, Dr. Pai’s U.S. team, participated in the 4th World Kuo-Shu Tournament (Taipei, ROC.). On November 10 of that year he was elected as Vice president of the 2nd executive board of the CKWPA. In 1984 Dr. Pai organized, and served as President, of the CKWPA-USA Branch. 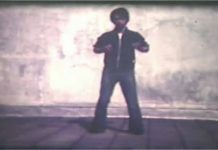 The Amateur Athletic Union (AAU) appointed Dr. Pai as delegate at large to the National AAU Kung Fu committee and the International Kung Fu Association (IKFA), representing the Florida State Region in April 1984. 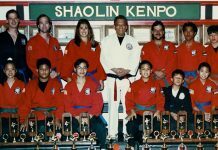 During the summer of 1989, Dr. Pai organized and hosted the 6th World Kuo-Shu Tournament in Las Vegas, Nevada, USA. This was the last Major Kuo-Shu event Dr Pai personally oversaw during his tenure as President of the International Chinese Kuo-Shu Federation – U.S.A (formerly CKWPA-USA) as his tenure came to an end in late 1990. In 1993, with Dr. Pai’s passing, the arts of the Pai Family were being spread, in many variations, by his senior students both 2nd generation and 3rd generation students. #There is no proof of a “White Lotus” monastery on Okinawa. Or of a monk named Okamura. However, this is the oral history as handed down to us.